RNR Custom Wheels & Tires Midwest was founded in 2006 with the goal of making tires and wheels accessible to all, while providing exceptional customer service. Putting these values into action, RNR has grown to include more than 8 stores in 4 states with an additional 15 planned to open in the next 10 years. 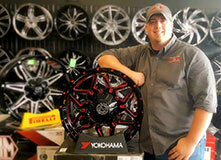 RNR is committed to being the best regional tire and wheel company in the United States. It’s part of the the RNR (RENT-N-ROLL) Franchise that was established in 1999. 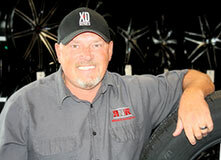 Rich has been with the company for 30 years and started as a mechanic in 1987. 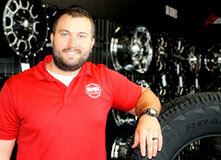 He’s been serving as president of RNR Custom Wheels & Tires Midwest since 2005! Hobbies: spending time with his wife and son, jeeping, building anything someone challenges him to. Doug came to RNR in 2015 but grew up in the auto business watching his dad own his own NAPA Automotive Shop. He's taken the helm of supporting Rich and the store managers with daily needs and additional support. He travels frequently to all locations and enjoys coaching others to success. He says about the direction of the company, "We are growing and learning quickly, I'm excited to be apart of a team that is wanting to reach new limits." 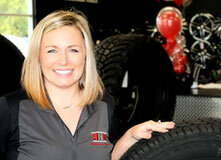 Bre joined the RNR Custom Wheels & Tires Midwest crew in April 2008, initially working with the Fairview, Ill., team before moving to manage RNR’s Marion, Ill. location. In April 2017, Bre embarked on a NEW adventure—serving as the company’s sales manager! From growing RNR’s social media accounts and ecommerce presence to assisting in new store openings, there’s never a shortage of tasks on her to-do list. Hobbies: leading ministries and volunteering at his church, officiating weddings, spending time with his family, golfing, bowling and cheering on the Kansas City Royals and Kansas City Chiefs. 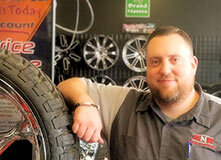 Steve has been with RNR Tire Express for three years and excels at multi-store management. In his free time he enjoys cooking, entertaining and hunting. 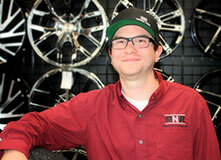 Wes began working for RNR Custom Wheels & Tires Midwest in 2012, at the Marion, Ill., location. 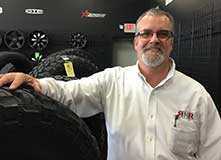 He gained vast knowledge about the wheel and tire industry—a level of expertise he was then able to bring to the Evansville location. “I always look forward to meeting new people and sharing the passion I have for cars and trucks with them to make sure their ride looks its best,” he says. Hobbies: playing darts and hunting. 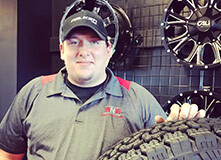 Driven to learn everything there is to know about the tire and wheel industry, Eric was the first person to join RNR’s Poplar Bluff, Mo., team in January 2017. 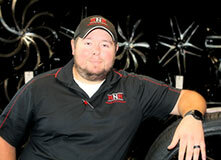 He’s been a proud resident of Poplar Bluff for the past 15 years and is eager to lead RNR Custom Wheels & Tires Midwest’s sixth location to success! Hobbies: : hunting, playing sports and spending time with his wife and 3 wonderful children. In his own words, Justin has “been turning wrenches” for 10+ years. RNR Custom Wheels & Tires Midwest is a perfect combination of the two industries he’s especially passionate about—rent-to-own and automotive! Hobbies: playing guitar, traveling, camping and cheering on the St. Louis Cardinals and Los Angeles Rams. 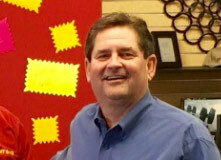 Joe has worked in retail for 15 years and has been managing stores since 2007. 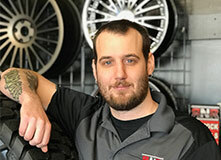 He started with RNR Custom Wheels & Tires Midwest in February 2016 as a manager-in-training, and he has since been chosen to lead mighty Team Alton! Hobbies: Hiking, baseball and spending time with his wife, kids and grandbabies. Hobbies: bow hunting, DIY projects, crocheting and taking pictures of her family. Hobbies: working with his hands and spending time outdoors—hunting and fishing. Hobbies: hunting, playing sports and spending time with his wife and 3 wonderful children.